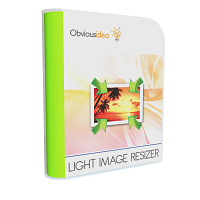 Light Image Resizer – ObviousIdea’s best seller, Millions of images have been resized ! 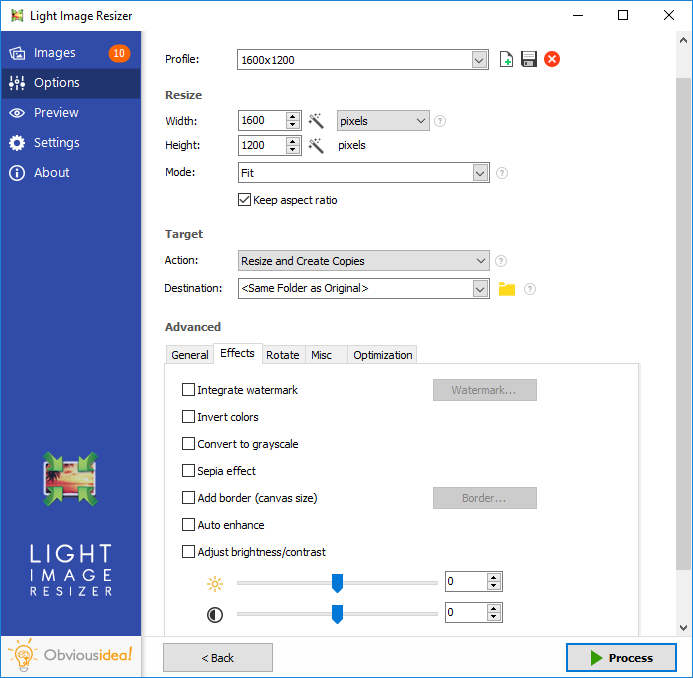 Use the Light Image Resizer to resize pictures. 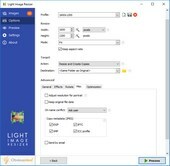 The batch image converter can easily convert your pictures into different formats. 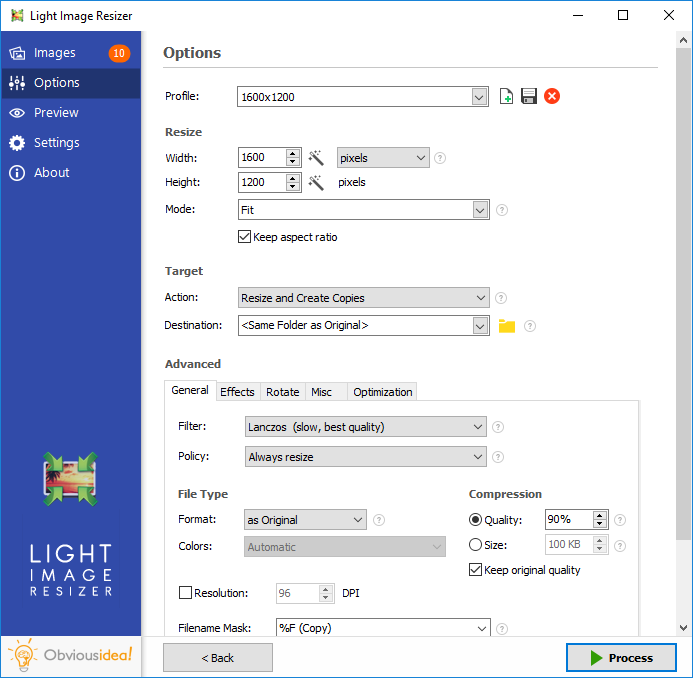 Select your output resolution, resize the original or create a copy, move and/or rename files or compress, choose a specific destination for your processed images. You can work on individual photos or edit large numbers of images by simply doing a batch resize in just one click. Add your own watermark to protect your work or add a copyright to photos with html-like text formatting and transparency support. Customize pictures by converting them to sepia or add a border. Use the live preview to see what the final result will look like before actually processing the image. 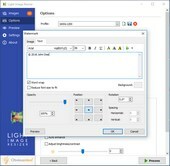 The ObviousIdea Photo Resizer/Picture Resizer works on files, subfolders and folders, and supports RAW formats. With multi-core support integrated, you can convert images even faster. Launch the application easily from Windows shell explorer with a right click on the image or folder. 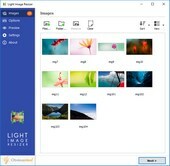 Photos can be added directly as attachments, individually or in a ZIP file, to email by using the publish function, without exceeding the maximum size permitted by email servers. 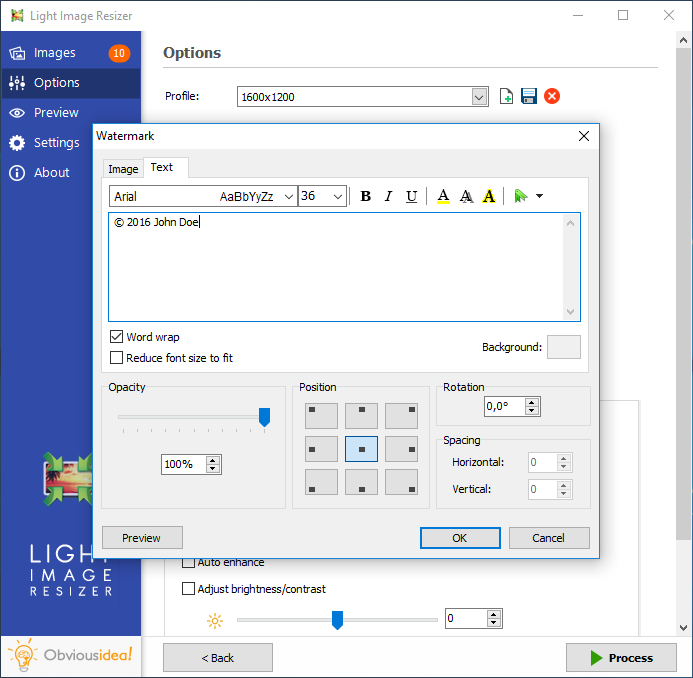 Create PDF files from your images, like jpg to PDF; do this for individual or multiple images. Edit, create, export, backup new profiles with your favorite settings. The most popular profiles are already pre-defined, such as FULL HD resolution wallpaper images, Ipod, NTSC, 640 x 480. Access to profiles in 1 click with the shell integration. 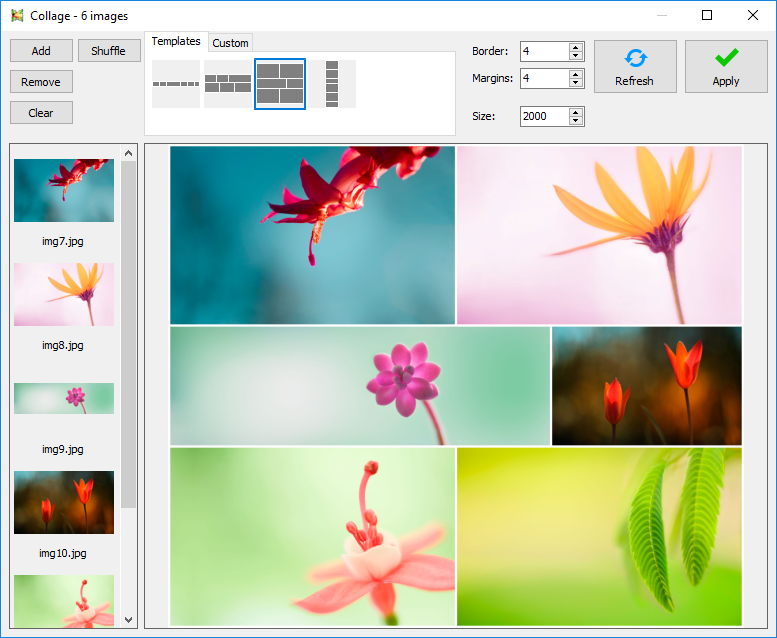 Transfer photos and optimize space on digital frames with the Digital Picture Frame Wizard. You can use the resize picture options to resize to the frame’s supported resolution, and add even more photos for viewing ! 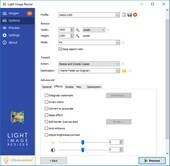 Our Image Converter and Image Resizer is compatible with Windows XP (SP3), Windows Vista, Windows 7, Windows 8, Windows 10. There is no version available for Mac. 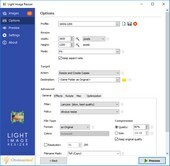 We consider our Light Image Resizer software to be one of the best resize photo programs. 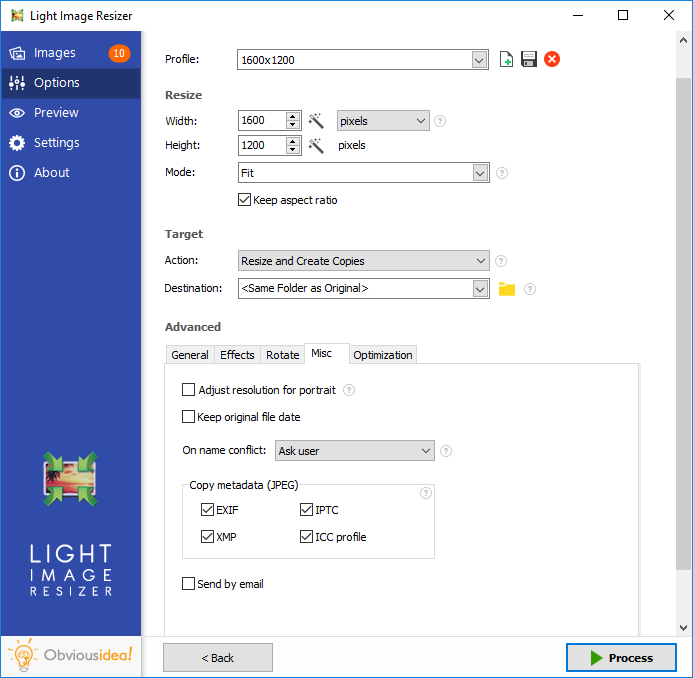 Easily batch resize photos with ObviousIdea. 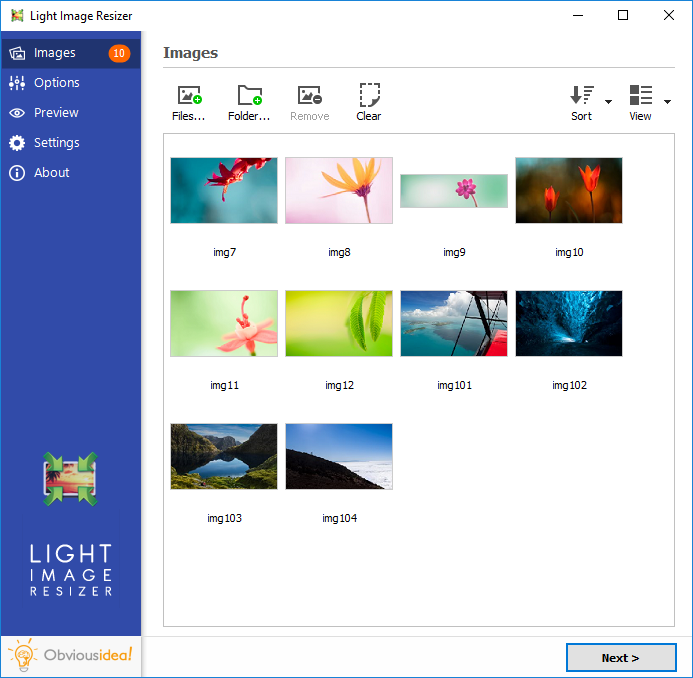 How to Resize your photos?